HOP CYPHER DROPS BerryP claims its the best cypher to ever come from Kd. 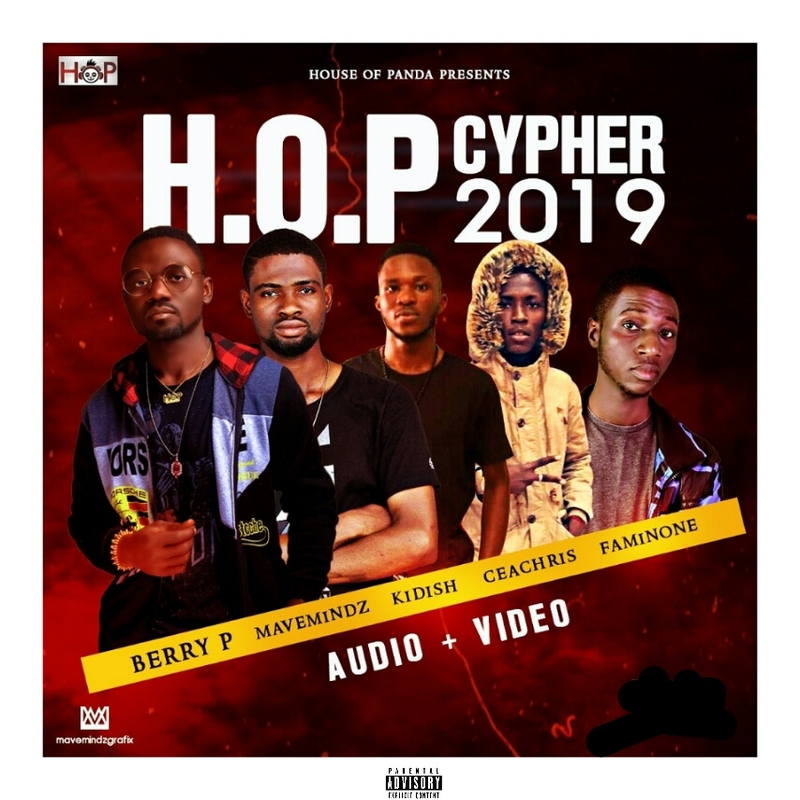 The much anticipate #HOPCYPHER2019 drops amidst rumor of an earlier leak prior to the release date. The cypher was organized by the self acclaimed CEO of the house of panda @berrypofficial. Audio was recorded by one of kd’s finest Dj Cinch and the video was directed and shot by Abuja based director Ts-Fx of Ts-films. The cypher was aimed at showcasing the individual talent in each of the act while putting a little focus on the political happening and the entertainment industry in kd and the nation at large. Berry P has done other projects before with one of his must outstanding work being FIGURE 8 which was featured on krockcity degreez kd’s must updated hiphop blog.